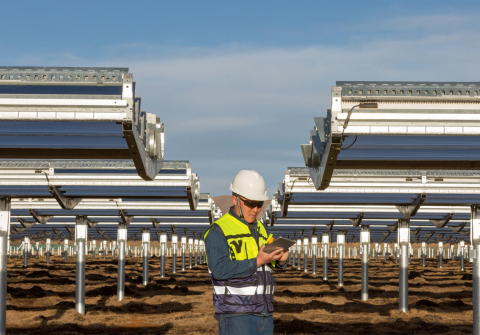 Apple® today announced a new first-of-its-kind investment fund in China to connect suppliers with renewable energy sources. As part of Apple’s commitment to address climate change and increase the use of renewable energy within its supply chain, 10 initial suppliers and Apple will jointly invest nearly $300 million over the next four years into the China Clean Energy Fund. The fund will invest in and develop clean energy projects totaling more than 1 gigawatt of renewable energy in China, the equivalent of powering nearly 1 million homes. Today’s news follows Apple’s announcement earlier this year that its global facilities are powered by 100 percent clean energy and the launch of its Supplier Clean Energy Program in 2015. Since that program began, 23 manufacturing partners, operating in more than 10 different countries, have committed to powering all of their Apple production with 100 percent clean energy. Apple and its suppliers will generate more than 4 gigawatts of new clean energy worldwide by 2020 — representing one-third of Apple’s current manufacturing electricity footprint.